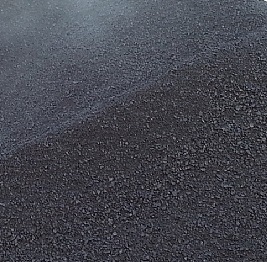 Elemental sulfur is a widely used additive for polymer-modified asphalts. Sulfur vulcanization, a chemical process widely used in the rubber industry, was found to be able to improve the storage stability of some polymer modified asphalts (PMA) with unsaturated polymer modifiers such as styrene-butadiene-styrene (SBS) polymers. Sulfur works in two ways: chemically crosslinking the polymer molecules via double bond of butadiene and chemically coupling polymer and bitumen through sulfide and/or polysulfide bonds. The crosslinking of polymer molecules leads to the formation of a stable polymer network in the bitumen; while the coupling between polymer and bitumen directly reduces the possibility of separation. Despite the improvements of the properties of PMA, the application of elemental sulfur presents a danger to human health and environment due to the generation of a hazardous gas, hydrogen sulfide. This gas is generated in large quantity during preparation of PMA, especially at high temperature. The purpose of this search is to find out if other cross linkers besides elemental sulfur can be used to prepare PMA. In particular, we are interested in cross linkers which would work for butadiene double bond at high temperature (up to 180°C). Thermally activated cross linkers are preferred. The proposal would need to clearly describe the technical concept (chemical approach, structure if IP protected) and proof of concept results, if available.Information on ICL's current product line can be found at www.halox.com .